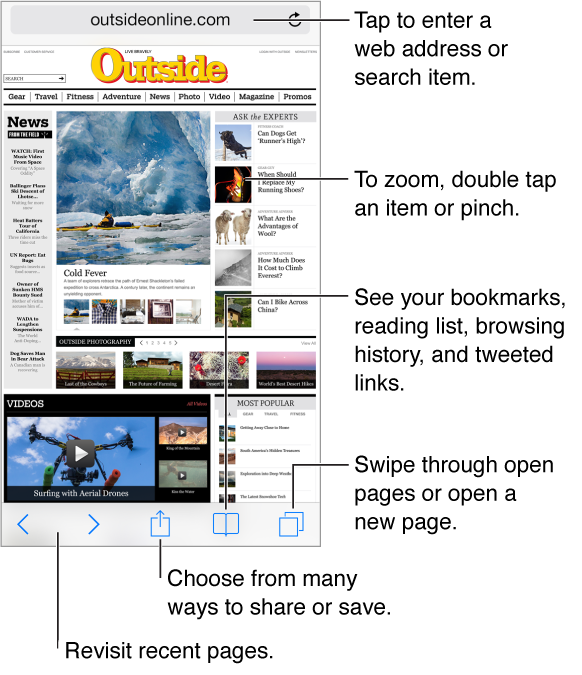 Use Safari on iPhone to browse the web. Use Reading List to collect webpages to read later. Add page icons to the Home screen for quick access. Use iCloud to see pages you have open on other devices, and to keep your bookmarks and reading list up to date on your other devices.